Travel has become a commodity. With easy-to-use travel apps, inspirational blogs, and commercials set to upbeat music, more people are beginning to plan international travel on their own, instead of relying on an expensive travel agent who may or may not provide a good deal with great experiences. Between managing a full-time job, making weekend plans, and hanging out with friends and family, there is no time to sort through thousands of reviews on online travel sites. Planning and booking travel should be part of the fun, not something that feels like another job. To eliminate the work involved with booking travel, some companies now offer travel memberships, promising to work on behalf of their members to cultivate great travel plans – after getting paid. While this may seem like an easy way to have everything planned, there is little room to explore outside of a strict itinerary, and members have to compete to sign up for available trips before others beat them to it. 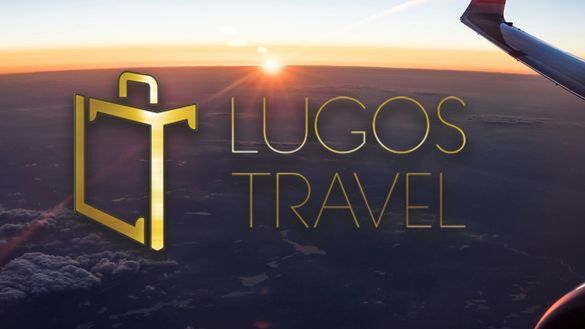 Lugos Travel marries the best of these worlds to offer personal, tailored travel experiences without the stress of planning a trip yourself or the extra cost of a membership fee. Our approach is simple. We curate excellent travel experiences that already include everything you could want in your vacation: first-rate accommodations, knowledgeable and friendly guides with skip-the-line access, private transportation starting at your front door, professional photographers to capture each moment, and customizable amenities packages designed to highlight the best of each area you visit. We hold the experiences we provide to the once-in-a-lifetime standard our clients expect, and we work hard to make sure that each of our travel experiences is unique. We are proud to use client feedback to think about travel differently, and we are excited to launch a whole new type of vacation that combines our curated international travel experiences with the thrill of fantasy adventure. Our new Experience 007 whisks you away to a US government approved training facility, where you are educated on a variety spy-craft including SWAT incursion techniques, performance driving school and learning to shoot from a helicopter. For three days, you will learn what it takes to be a secret agent, and where you will get introduced to your gadgets, familiarize yourself with your methods of communication, and study the rules of engagement. After passing your training, you will board a plane bound for Northern Italy where you will spend eight days tracking down and defeating your enemies in a storyline crafted by a meticulous Hollywood scriptwriter. Fast cars, incredible scenery, and remarkable people provide the perfect backdrop to this role-playing experience. Though you will face surprises around every corner, you will never have to guess what to wear. Included with the James Bond Experience are custom-tailored clothes, suited to every occasion, and delivered to your hotel room. Made of the finest Italian fabrics by a world-class atelier, the clothes are yours to keep, letting you take a little bit of the adventure home with you. Once you defeat your enemies in Northern Italy, you will be whisked away to a tropical island paradise. You can join your significant other in Jamaica where you will stay on the estate where Sir Ian Fleming wrote his James Bond spy novels after leaving Her Majesty’s Secret Service. The estate, now known as GoldenEye after having been converted by Chris Blackwell, owner of Island Records, offers the peaceful respite and island intimacy for you to share the stories of your adventures. The Experience 007 is the once-in-a-lifetime travel opportunity that is sure to tempt those with an adventurous spirit with a daring new look at what a vacation can be.